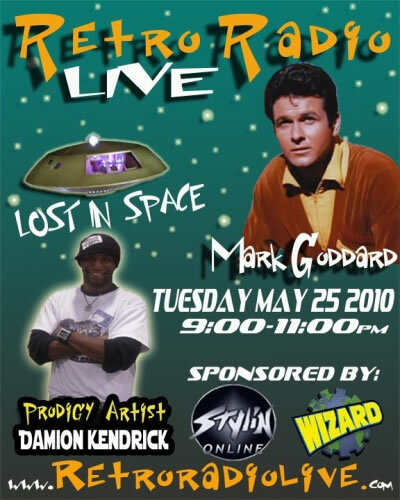 Mark Goddard was interviewed last night on Retro Radio LIVE! and you can listen to the interview by clicking the play button/arrow below. 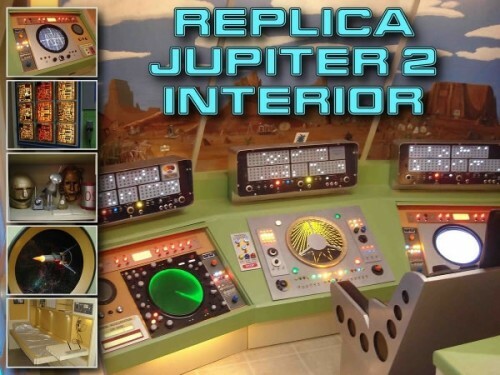 A new Irwin Allen convention gallery has been added for the April 2010 Anaheim Comic Con (courtesy of Diane Kachmar). 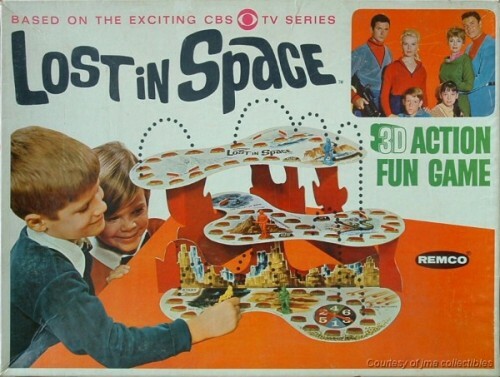 Attendees included David Hedison, Deanna Lund, Don Matheson, Don Marshall and Lee Meriwether. 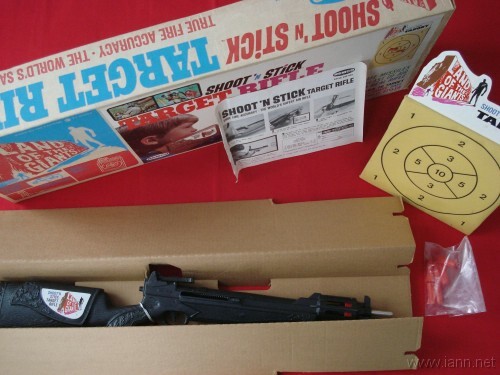 One of the harder to find Land of the Giants collectibles is the Remco Shoot ‘N Stick Target Rifle. 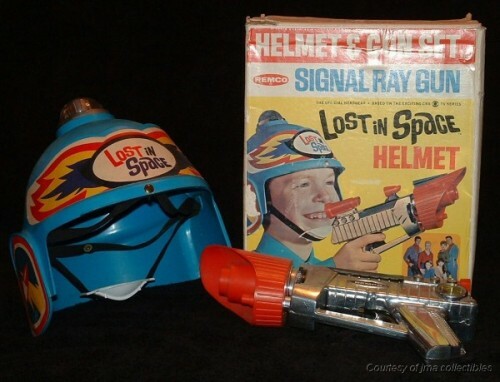 As with many Irwin Allen collectibles produced in the 1960’s, this Remco toy isn’t related to any particular prop in the show itself, but the box and labeling does make it a worthwhile collectible in any Land of the Giants collection. 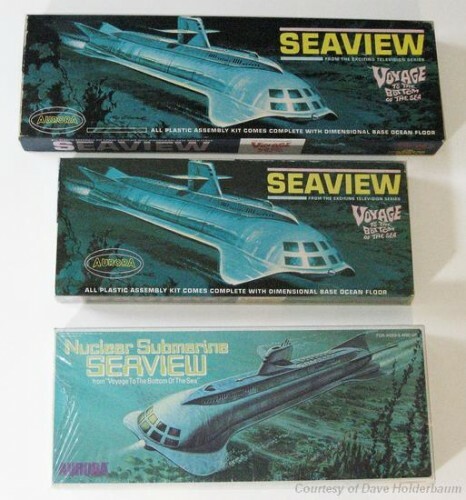 We have added a new gallery of pictures of the three Aurora Seaview model kits in the IANN Voyage to the Bottom of the Sea collectibles section courtesy of Dave Holderbaum. 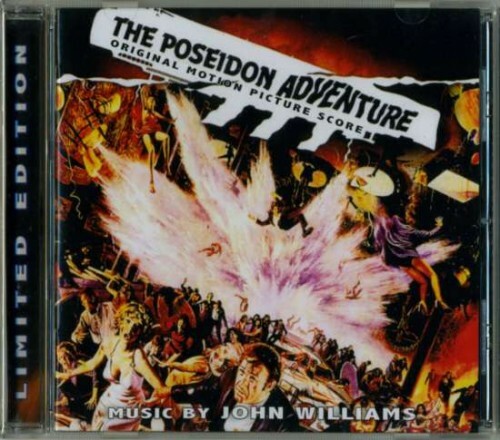 If you have any Irwin Allen collectibles that you would like to see showcased, please contact us at IANN. Cave In! is to be aired in the UK for first time in over 20 years on CBS Action (Sky channel 148) on Saturday 15th May at 2pm and 6pm. It will also be repeated on 30th May, 12th June and 26th June (again at 2pm and 6pm on all of those dates).